With another deadline finished and sent off to print, comes another sneak peak into the 2019 Agromeck. 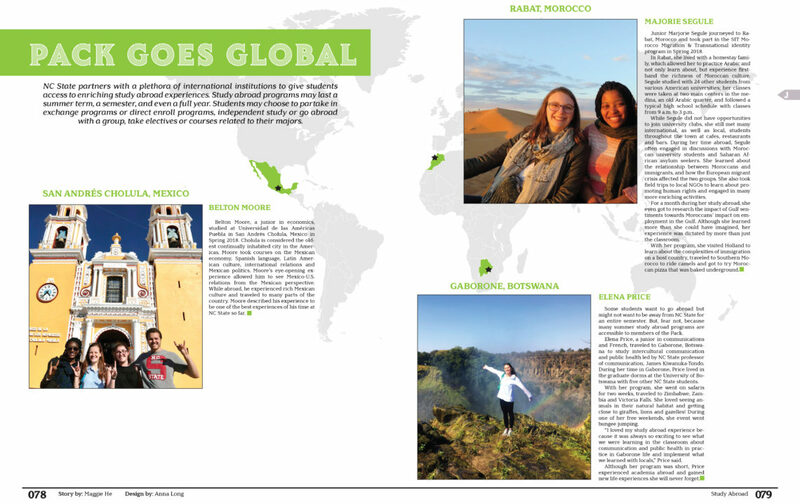 The chosen spread of this deadline features students recapping on their experiences while living across the globe. Design editor Julia Harrison suggested this Study Abroad feature because of the different experiences that students can have from the program. Visually, Harrison likes the added touch of the world map to the spread design. The map background connects the images submitted by students to their locations on the globe, making the spread more informative, Harrison says. To order your 2019 Agromeck, click here.